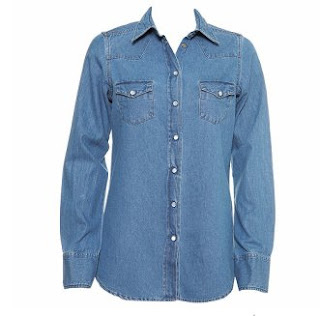 The denim shirt was super soft and more faded looking in person, and also extremely large, as in, supposed to be. The so-called Harem Pants, well, what can I say. I know, shalvar. I wore 'em in high school and people laughed at me. 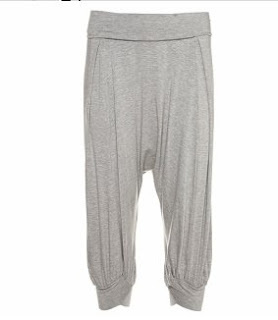 I defended my turkish peasant pants and they said they were MC Hammer pants. And now I live in a country where, inexplicably, everyone wears them, and have been for years, not just in the recent drop-crotch explosion. I find it hard to be objective. But I tried these on, and what can I say, so soft, so comfy, such a nice drape to them... But no, I didn't purchase. I also found a really nice basic tank top at Zara, knit linen, comes in a solid army green and a gorgeous melon color. I'm still toying with the idea of going back for that. Er - those. So what did I buy, you ask? After all those hours of browsing and trying on? Here you have it, my big haul for the day. I spent about 10 euros. Money well spent I think.